A miscellaneous group of pictures, mostly of things I saw on my own during our free afternoons. Thomas Cranmer, Archbishop of Canterbury. Mary Tudor had good reason to dislike him because he had helped Mary's father, Henry VIII, get a divorce from her mother, Catherine of Aragon, so he could marry Anne Boleyn. He was forced to watch Latimer and Ridley burning. 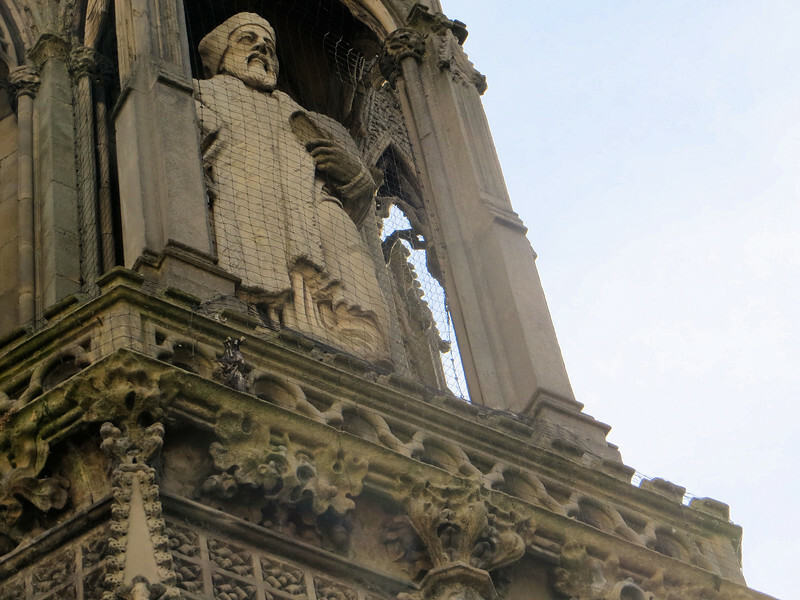 Cranmer at first recanted his Protestant beliefs in an attempt to save himself from burning, but at the last minute , in his trial in 1556, he changed his mind again and refused to recant. He was dragged from the court, in St. Mary's Church, and executed immediately.